After closing in November of 2018, the iconic Hamburger Mary's Restaurant in Ybor City may be resurrected if a chang.org petition gets enough signatures and the owner raises enough money to make it happen. 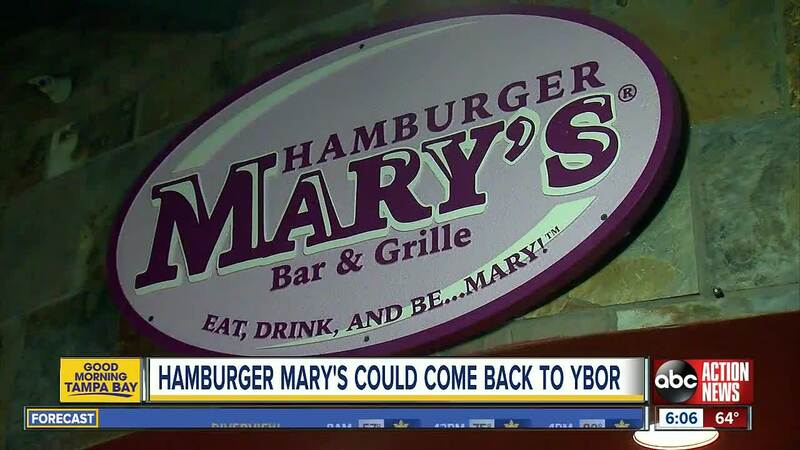 TAMPA, Fla. — The owner of Hamburger Mary's is looking at his options to see whether he can make a return to Ybor City. ABC Action News anchor Wendy Ryan interviewed Kurt King after he shut down that location in November of last year. He believes his business was singled-out by the Hillsborough County Health Department's Director Dr. Douglas Holt because of his sexual orientation and those who work there. Hamburger Mary's Restaurant is a gay owned and gay run business. The health department claimed a worker at that Ybor City location was infected with Hepatitis A, but King says that's not true — and he says he supplied the proof. A 'change.org' petition is circulating on social media, asking for signatures in an effort for Hamburger Mary's to re-open its doors. King laid off over 60 employees just before the holidays, and liquidated all of his assets so that he could compensate his employees during the holiday season. He says he'd love to re-open, but needs about $400,000 to repurchase the equipment and supplies in order to resurrect the business. If you're interested in reading more about the petition, click on the change.org page here.